The Commonwealth Bank of Australia is an Australian multinational bank with businesses across New Zealand, Fiji, Asia, USA and the United Kingdom. Commonly referred to as the Commonwealth Bank (or CBA or Commbank), it provides a variety of financial services including retail, business and institutional banking, funds management, superannuation, insurance, investment and broking services. The Commonwealth Bank is the largest Australian listed company on the Australian Securities Exchange as of August 2015 with brands including Bankwest, Colonial First State Investments Limited, ASB Bank (New Zealand), Commonwealth Securities Limited (CommSec) and Commonwealth Insurance Limited (CommInsure). Commonwealth Bank is also the largest bank in the Southern Hemisphere. Founded in 1911 by the Australian government, the Commonwealth Bank is one of the "big four" Australian banks, with National Australia Bank (NAB), ANZ and Westpac. The bank listed on the Australian Stock Exchange in 1991 and the government fully privatised it in 1996. The former global headquarters of Commonwealth Bank were the Commonwealth Trading Bank Building on the corner of Pitt Street and Martin Place, which was refurbished from 2012 for retail and commercial uses, and (from 1984 to 2012) the State Savings Bank Building on Martin Place, which was sold in 2012 to Macquarie Bank. The headquarters were moved to two new nine-storey buildings which were built at the site of the former Sega World Sydney, in Darling Harbour on the western side of Sydney's city centre. The Commonwealth Bank of Australia was founded by the Commonwealth Bank Act on 22 December 1911, introduced by the Andrew Fisher Labor Government, which favoured bank nationalisation. In a rare move for the time, the bank was to have both savings and general bank business. The bank was also the first bank in Australia to receive a Federal Government guarantee. The bank's earliest and most strenuous proponent was the flamboyant American-Australian Labor politician, King O'Malley, and its first Governor was Sir Denison Miller. The bank opened its first branch in Melbourne on 15 July 1912. In an agreement with Australia Post that exists to this day, the bank also traded through post office agencies. In 1912, it merged with the state savings bank in Tasmania, and by 1913 it had branches in all six states. In 1916, the bank moved its head office to Sydney. It also followed the Australian army into New Guinea, where it opened a branch in Rabaul and agencies elsewhere. In 1920, the bank took over from the Department of the Treasury the responsibility for the issue of Australian bank notes, the beginning of its acquisition of central bank powers. In 1920, the Commonwealth Bank merged with the state savings bank in Queensland. In 1931, the government transferred to the bank the savings bank business of the Government Savings Bank of New South Wales (est. 1871), and the current account and fixed deposit business of the Rural Bank Department. The bank also acquired the State Savings Bank of Western Australia (est. 1863). The bank's role in central banking expanded gradually after 1920. In 1931, the bank board came into conflict with the Labor government of James Scullin. The bank's chairman Robert Gibson refused to expand credit in response to the Great Depression (as had beened by Treasurer Edward Theodore) unless the government cut pensions, which Scullin refused to do. Conflict surrounding this issue led to the fall of the government, and to demands from Labor for reform of the bank and more direct government control over monetary policy. In 1942, the Commonwealth Banking Corporation (CBC) suspended its operations in Papua New Guinea as the Imperial Japanese Army captured many of the towns in which it operated, and bombed Port Moresby. The bank resumed operations later, possibly in 1944. The bank had many branches across Papua New Guinea including Port Moresby, Boroko, Rabaul, Lae, Wau, Bulolo, Goroka, Kavieng, Madang, Mount Hagen, Kundiawa, Popondetta and Wewak. On Bougainville there was Kieta, Panguna, Arawa and early on a part-time sub branch at Loloho. The bank maintained those facilities to support trade, local business, government and small savers. The Commonwealth Bank received almost all central bank powers in emergency legislation passed during World War II and at the end of the war it used this power to begin a dramatic expansion of the economy. This was also the aim of the government at the time, which attempted to compel the Australian states to conduct their banking with the Commonwealth under the Banking Act 1945 (Cth), but the High Court in Melbourne Corporation v Commonwealth (1947) 74 CLR 31, blocked this move. The government also colossally expanded immigration programmes. To respond to this, the bank established a Migrant Information Service (later known as the Australian Financial & Migrant Information Service, or AFMIS). The bank expanded during this period. In just five years it opened hundreds of branches throughout Australia and in 1951 it established a branch in the Solomon Islands. In 1958 and 1959, there was a controversy concerning the dual function of the bank as the central bank on the one hand and a commercial bank on the other. As a result of this, the government split the bank, giving the central bank function to the Reserve Bank of Australia, with the Commonwealth Banking Corporation (CBC) retaining its commercial banking functions. These commercial functions were exercised by the CBCs constituent banks, the Commonwealth Trading Bank of Australia (CTB), the Commonwealth Savings Bank of Australia (CSB) and the newly formed Commonwealth Development Bank (CDB). From 1958 to 1976 the Commonwealth Bank operated savings bank agencies in the New Hebrides. A new Commonwealth Development Bank was established in 1960 and during the 1970s the bank diversified its business into areas like insurance and travel. It established a finance company, CBFC in 1974. The bank also became more heavily involved in foreign currency trading and international banking in general. The bank actively supported the introduction of decimal currency in the years leading up to 1966 and, like most banks, it gradually converted its paper records onto a new computer-based system. The bank created the first credit card in Australia in 1974 when it established Bankcard. In later years the bank began offering MasterCards (1984) and Visa (1993) cards as well. In 1974, as Papua New Guinea approached independence, the bank formally handed over its PNG operations to the newly created and government-owned Papua New Guinea Banking Corporation (PNGBC). The bank retained a restricted branch in Port Moresby that it finally closed in 1982. In 1981 the bank transferred its operations in the Solomon Islands to the National Bank of Solomon Islands, which operated as a joint venture (51-49, Commonwealth and Government of the Solomon Islands). In 1989 the bank acquired 75 per cent of ASB Bank in New Zealand. In 1991 the bank acquired the failing Victorian Government-owned State Bank of Victoria (est. 1842). Between 1991 and 1996 the Australian government fully privatised the Commonwealth Bank. The first share offer in 1991 was valued at $1,292 million, the second in 1993 for $1,700 million and the third was sold for $5,000 million in 1996. It is a public company, but one of the few such companies in Australia whose official name does not end in 'Limited'. In 1994 Commonwealth sold its shares in National Bank of Solomon Islands to Bank of Hawaii. In 1994, Commonwealth took a 50% share in PT Bank International Indonesia. On 10 March 2000, the Commonwealth Bank and Colonial Limited announced their intention to merge, with seven Commonwealth Bank shares being offered for twenty Colonial Shares. The merger received final approval from the Supreme Court of Victoria on 31 May 2000 and was completed on 13 June 2000. This brought into the fold Colonial’s stake in Colonial National Bank, the former National Bank of Fiji. The bank also acquired the remaining 25% of ASB Bank. Banking opportunities in Asia saw the Bank in 2000 acquire full ownership of PT Bank International Indonesia and rename it (PT Bank Commonwealth). This bank now has over 16 branches and has opened several FX shops to cater to Commonwealth Bank clients who are tourists in Bali. In 2005, the bank established strategic co-operation agreements with two Chinese banks, Jinan City Commercial Bank and Hangzhou City Commercial Bank; it took an 11% stake in Jinan City, and a 19.9% stake in Hangzhuo. Commonwealth also established a representative office in Bangalore, India. At the beginning of 2008, Commonwealth Bank opened a branch in Ho Chi Minh City (Saigon). Then in October, Commonwealth announced that it had purchased Bankwest and St Andrew's Insurances from their parent company HBOS plc for A$2.1 billion. The acquisition is scheduled to be completed in early 2009, subject to regulatory approval. Lastly, on 24 December, Commonwealth announced that it had, in joint partnership with Aussie Home Loans, purchased Wizard Home Loans. As part of the deal, the Commonwealth Bank will acquire Wizard mortgages up to the value of A$4 billion. The Commonwealth Bank currently owns a 80% stake in Aussie. Commonwealth Bank held about 30 percent of the loan business of financial advisory company Storm Financial when it collapsed in January 2009. In December 2009, Commonwealth sold Colonial National Bank to Bank of South Pacific. The bank transferred their ATM service desk from HP Enterprise Services in Adelaide to ITS (Armaguard) in Sydney from March 2012. The bank will change from NCR and Diebold ATMs to Wincor Nixdorf ATMs over the coming years. The bank is the only financial services organisation to appear in the Dream Employers' top 20 list of preferred employers for 2010 and 2011. "Australia's big four banks are leading lenders to the massive expansion in coal and gas shipments through the Great Barrier Reef, contradicting their own pledges to curb carbon emissions and preserve sensitive environmental areas. ... The CBA, meanwhile, highlighted its achievement to cut carbon emissions from operations by 35,000 tonnes in 2012. A single bulk carrier shipment of coal exported from Australia would result in final emissions of four times those savings, Mr Vincent said." In 2014, CBA and the big four Australian banks faced increased pressure to end their support for reef-threatening mining projects, as surveys have shown that "the big four banks would be risking customers shifting up to $236 billion in household deposits if they were to finance a project like the Abbot Point expansion". In late 2014, it "was revealed [CBA] was advising Indian coal miner Adani on its proposed development in Queensland's Galilee basin", while by 2015, it has been reported that "all the major American and European banks have refused funds to the project, citing environmental damage". In May 2015 a report by Market Forces showed that CBA is the single biggest lender to fossil fuel projects within the Great Barrier Reef World Heritage Area during the six-year period from 2008 to 2014. Almost immediately following, protests were held at over fifty CBA branches in Australia and around the world. "Australia's largest banks have committed about 10% of their known loan arrangements to the financing of risky fossil fuel projects that may become 'stranded' if the world is to avoid disastrous climate change, new research has estimated." In October 2008 former CBA financial planner Jeff Morris alleged to the Australian corporate watchdog (ASIC) and subsequently a Senate Inquiry, the extent of the misconduct of CBA's financial planning arm, Commonwealth Financial Planning Limited (CFPL), but it was not until 16 months later that ASIC would launch an investigation. "There was forgery and dishonest concealment of material facts," the Senate Inquiry found in its report. They concluded a Royal Commission or Judicial Inquiry as it was deemed ASIC lacked the investigative powers required to uncover the full extent of the allegations. A week following the Senate Inquiry, CEO Ian Narev publicly apologised while announcing a compensation scheme. Former CEO Ralph Norris also conceded that he was aware of problems within CFPL acknowledging the presence of rogue financial planners but rejected the assertion of a conspiracy to cover it up. CBA has been criticised in the Senate for appointing Dr. Brendan French, who was the General Manager of Group Customer Relations before, as the head of the Open Advice Review program. The CBA defended Dr. Brendan French successfully in a defamation lawsuit in 2015; the decision was a single judge decision and was not appealed. Criticism has also been leveled at the fact that Dr. Brendan French was formerly a member of the board of directors of the Financial Ombudsman Service (Australia) and is now working in CBA with respect to customer complaints. In 2016 it was revealed that some CBA staff were implicated in an alleged $76m fraud. It was reported alleged systemic issues about the insurance division of CBA including, "refusing to pay total permanent disability (TPD) and terminal illness claims on the chance that a dying person facing organ failure may have their life saved by a transplant, and that a person can claim their life insurance if they are declared terminally ill by two doctors and deemed likely to die within 12 months." In March 2016 ASIC announced it would be investigating CBA about the allegations. After the serious allegations were extrapolated in an episode of Four Corners (TV series) there have been calls for a Royal Commission into the insurance industry. In September 2008, Lloyds TSB bought HBOS in a deal worth over £12.2 billion. This was followed in October 2008 when, with significant problems of their own, HBOS/Lloyds TSB agreed to the sale of Bankwest and St Andrews Insurances to Commonwealth Bank of Australia (CBA) for an initial purchase price of A$2.1 billion. (Refer the Share Sale Deed). At the time of acquisition BankWest was reporting to the Australian Prudential Regulation Authority (APRA) under to Basel I requirements, and under CBA ownership began reporting under Basel II Pillar 3 standardised approach requirements on 1 January 2009. (Refer the CBA 2009 Profit Announcement). At the time both HBOS and the CBA reported provisions for remaining consideration of circa $300 million. The acquisition was completed on 19 December 2008. (refer note 14 of the CBA 11 February 2009 half year profit announcement). The BankWest performing loan book as at 18 December 2008, had a value of approximately $57 billion, $18 billion of which were S&P (Standard and Poors) rated B+ or worse. (Refer the BankWest Credit Policy, the BankWest 2008A financial statements and the CBA Answers to Questions on Notice to the Parliamentary Inquiry(PJC)). As at 18 December 2008 BankWest owed its Parent HBOS a net figure of $21,076 million, and HBOS had secured a further $3,767 million loan from the RBA (Reserve Bank of Australia) to support the funding of the BankWest loan book. The BankWest Parent Company Funding therefore can be calculated as $17.3 billion being ($21,076 million minus $3,767 million). On Completion, the CBA paid $14.513 to HBOS and $3,767 million to the RBA leaving a loan from HBOS to the CBA of $2,797 million called the Excess Facility Amount loan. Under the standardised Basel II approach the Tier 1 Capital holding requirement for S&P B+ loans increased from 8% to 100%, increasing BankWest's Tier 1 Capital holding requirements from approximately $3.2 billion to $20 billion (a $17 billion increase). HBOS was desperately trying to sell BankWest because it did not have the ability to replace BankWest's wholesale funds as they became due nor could it raise the extra $17 billion in Tier 1 Capital required by 1 January 2009 to meet the Basel II regulatory requirement. “If you think back to 2008-2009, when all this occurred and you think about the executive of the Bank the top of the Bank they were deeply concerned that the Bank continued to exist....It was the time when wholesale funds for banks were almost impossible to obtain, it was the time when the Commonwealth Bank bought BankWest because Bankwest was in an awful lot of trouble........ and the board had auditors in to every meeting to ensure just to ensure that we came through this financial crisis satisfactorily right through to 2010” . Mr. Ian Narev the current CBA CEO was "Group Head of Strategy, with responsibility for corporate strategy development, mergers and acquisitions and major cross- business strategic initiatives. He led the Group’s $2.1 billion acquisition of Bankwest in 2008", and developed the strategy outlined below. The Share Sale Deed provisions provided the CBA at clauses 4 & 10 with price adjustment provisions. The Warranty Clauses are, 15.1, 15.3, 16.1, 16.2, schedule 6 cl 5.1 and clause 12 (c) of the Share Sale Deed provided the CBA with a $4 billion short term loan in support of the Warranty Clauses. (Refer the Share Sale Deed and the December 2015 CBA testimony to the PJC). The warranty provisions of the Share Sale Deed, enabled the CBA to deduct amounts from the HBOS $2,797 million loan it had secured (refer above), for pre acquisition BankWest loans it (the CBA) deemed retrospectively impaired. BankWest operated under its own banking license until 2012, and the CBA had planned to operate BankWest under its own (CBA) license and extend to BankWest its Basel II advanced accreditation by 1 October 2012. (Refer the CBA 2009 and 2012 Profit Announcements and Results presentations). Had the CBA kept the BankWest Commercial Loan Book, it (the CBA) would have faced a $49 billion increase in, recurring interest costs, and regulatory and capital holding costs. (Calculation estimate). From the outset, the CBA made no attempt to capital raise the extra $17 billion in Tier 1 Capital (Share Capital in the case of BankWest). Instead the CBA only raised $2 billion in payment of BankWest's existing Share capital (the Initial Purchase Price). In avoidance of raising the extra $17 billion in BankWest Tier 1 Capital, BankWest under reported the BankWest Commercial Loan Book by $10.3 billion, in its first Basel II Risk Disclosure dated 31 March 2009. The CBA then proceeded to unconscionably write off 1,958 loans having face facility values of $17.9 billion in BankWest pre acquisition Commercial Loans, an average loan value of 9.15 million per loan. (Refer the CBA Answers to Questions on Notice to the PJC, the BankWest 31 December 2008 financial statements and the Share Sale Deed, the BankWest Risk Disclosures and the CBA 2010 and 2011 Results Presentations, the 20 April 2009 Dispute Notice). 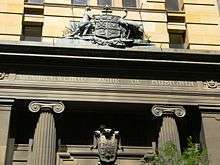 In a recent supreme court case in NSW, the CBA admitted that this alleged conduct (should it be proven in court) is fraudulent and is the worst conduct imaginable levelled at an Australian Banking License holder. At the 2 December 2015 PJC inquiry hearing, the Honourable Phillip Ruddock offered for the CBA to accept the appointment of "Independent agreed mediators" to determine the facts and circumstances relating to the impairment of the BankWest Commercial Loan Book, as opposed to the establishment of a forthcoming "Royal Commission". The CBA refused. This division delivers financial services to personal and small business customers. Premium Business Services was formally split into two departments in 2009, Institutional Banking & Markets (IB&M) and Business & Private Banking (B&PB). IB&M includes areas of the bank that provides services to Institutional Clients and Global Markets. B&PB includes areas of the bank that provides services to Business customers and private banking customers. Wealth Management brings together the Groups funds management platform, master funds, superannuation, insurance and financial advice business support. Colonial First State, Colonial First State Global Asset Management and CommInsure all form part of Wealth Management. CBA has been granted a MySuper authority, enabling it to continue to receive default superannuation contribution from 1 Jan 2014. Retail banks in New Zealand (ASB Bank), Indonesia (PT Bank Commonwealth), and China (11% of Jinan City Commercial Bank and 19.9% of Hangzhou City Commercial Bank). Representative offices in Beijing, Shanghai, Hanoi, and Bangalore. The Commonwealth Bank is Australia's largest retail bank and offers customers a range of products and services, including loans, credit cards, transaction and savings accounts. It has the largest branch and ATM network. It also offers services to people planning to move to Australia. 1 2 3 4 5 6 7 "Commonwealth Bank of Australia Annual Report 2016" (PDF). 15 August 2016. Retrieved 23 August 2016. ↑ "ASX 200 List / Market Capitalisation Accurate on: 22 August 2015". ASX 200. Australian Securities Exchange. 22 August 2015. Retrieved 3 September 2015. ↑ "World's Largest Banks by market capitalization 2015". relbanks.com. 2015. ↑ Australia Through Time. Random House Australia. 2004. p. 191. ISBN 0 75931 002 5. ↑ "Commonwealth Bank – History – A brief history of the Commonwealth Bank". About.commbank.com.au. Retrieved 2012-07-14. ↑ Commonwealth Bank of Australia (2008). "Commonwealth Bank of Australia to acquire Bank West and St Andrew's". Retrieved 2008-10-09. ↑ Bank of Western Australia Limited (2008). "BankWest and St Andrew's sold to Commonwealth Bank". Retrieved 2008-10-09. ↑ Aussie Home Loans and Commonwealth Bank to buy Wizard Home Loans Archived 24 December 2008 at the Wayback Machine. ↑ Johnston, Eric. "CBA takes control of Aussie Home Loans". Retrieved 2016-09-27. ↑ Osborne, Paul (10 August 2009). "Storm Financial collapse plan outlined". The Age (Melbourne). Retrieved 15 January 2010. ↑ "The Dream Employers". Dream Employers. 2011. Retrieved 2013-02-16. ↑ "Financing Reef Destruction; How banks are using our money to destroy a national icon" (PDF). Market Forces. Market Forces. Retrieved 10 May 2015. ↑ Hannam, Peter (2 May 2013). "Big banks finance reef destruction, activists claim". Sydney Morning Herald. Retrieved 10 May 2015. ↑ Saunders, Amanda (10 July 2014). "Australian banks face more pressure over support for coal projects". Sydney Morning Herald. Retrieved 10 May 2015. ↑ Chatterjee, Dev (9 May 2015). "It's Branson vs Adani in Australia; Virgin promoter to protest Adani's mining project in Australia, saying it will damage the Great Barrier Reef". Business Standard. Retrieved 10 May 2015. ↑ "CBA in gun for Galilee coal mine advisory role". Business Spectator. 27 November 2015. Retrieved 10 May 2015. ↑ van de Pol, Will (16 May 2015). "Commbank biggest lender to coal and gas in the Reef". Market Forces. Retrieved 16 May 2015. 1 2 Milman, Oliver (20 May 2015). "Australia's banks have 10% loans in risky fossil fuels, says investment adviser". The Guardian. Retrieved 20 May 2015. ↑ Ong, Thuy (20 May 2015). "Environment campaigners protest in central Sydney over Commonwealth Bank investment in fossil fuel projects". Australian Broadcasting Corporation. Retrieved 20 May 2015. ↑ "The man who blew the whistle on CBA". Australian Financial Review. 28 June 2014. Retrieved 15 July 2014. ↑ Performance of the Australian Securities and Investments Commission (PDF). Parliament of Australia. 26 June 2014. Retrieved 15 July 2014. ↑ "Senators demand inquiry into CBA". The Sydney Morning Herald. 27 June 2014. Retrieved 15 July 2014. ↑ "CBA sorry 'too little, too late'". The Sydney Morning Herald. 4 July 2014. Retrieved 15 July 2014. ↑ "Former CBA boss Norris blames scandal on 'rogues'". The Sydney Morning Herald. 14 July 2014. Retrieved 15 July 2014. ↑ "CBA executive running compensation scheme moves to new role". The Sydney Morning Herald. Retrieved 2016-01-21. ↑ "Financial System Inquiry" (PDF). ↑ "Commonwealth Bank staff implicated in alleged $76m fraud". The Sydney Morning Herald. Retrieved 2016-02-13. ↑ Ferguson, Adele. "You can't trust CommInsure - Part 1". www.smh.com.au. Retrieved 2016-03-05. ↑ "ASIC to investigate CBA's life insurance arm". Financial Review. Retrieved 2016-03-06. ↑ "Calls for Royal commission into 'disgraceful' CommInsure". ABC News. Retrieved 2016-03-07. Phillips, Bronwyn; Hock, Peter (2011). 100 Years Together. North Sydney, New South Wales: Focus Publishing. ISBN 1921156635. Wikimedia Commons has media related to Commonwealth Bank of Australia.